Romania’s mandatory private pensions (or Pillar II) funds had assets of RON 43.01 billion (EUR 9.25 billion) under administration at the end of May, up by 19.1 percent year on year, and 60 percent of the amount is invested in government securities, according to the Financial Supervisory Authority (ASF). Compared with April, total assets declined by 0.07 percent in May. More than half of total amount (60.5 percent) is invested in government securities, while 18.5 percent is placed in shares and 10.5 percent in bank accounts. These fresh numbers come in a period of noisy debate about the future of private pensions in Romania. Romania’s government has partially reversed the past systemic pension reform by lowering the proportion of social contributions transferred to the second pension pillar from 5.1 percent of gross wages in 2017 to 3.75 percent from January 2018. Recent announcements from the government indicate that contribution transfers for Pillar II could become voluntary, and not mandatory, in order to increase budget revenue. According to Romania’s private pensions funds association (APAPR), the average value of the individual private pension account reaches RON 6,000, and over 1.2 million participants have already accumulated over RON 10,000 in their account. In ten years, Pillar II funds generated an average annual yield of 8.15 percent, APAPR recently said. Contributions to mandatory private pension funds started on May 20, 2008. The European Commission said this year, in the specific recommendation to Romania, that the cut of social contributions transferred to the second pension pillar (Pillar II) from January 2018 is set to have a positive short-term effect on government revenues, but could affect capital markets and generate the obligation to pay old-age pensions in the future. 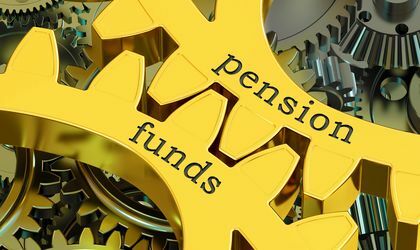 According to European Commission data, the total net assets of the Pillar II pension funds increased from 0.2 percent of GDP in 2008 to roughly 4.6 percent of GDP in 2017. Romania’s Pillar II funds have made 21,588 payments between 2008 and May 2018, mostly because of the death of contributors, according to Financial Supervisory Authority (ASF) data transmitted following a Business Review’s request.